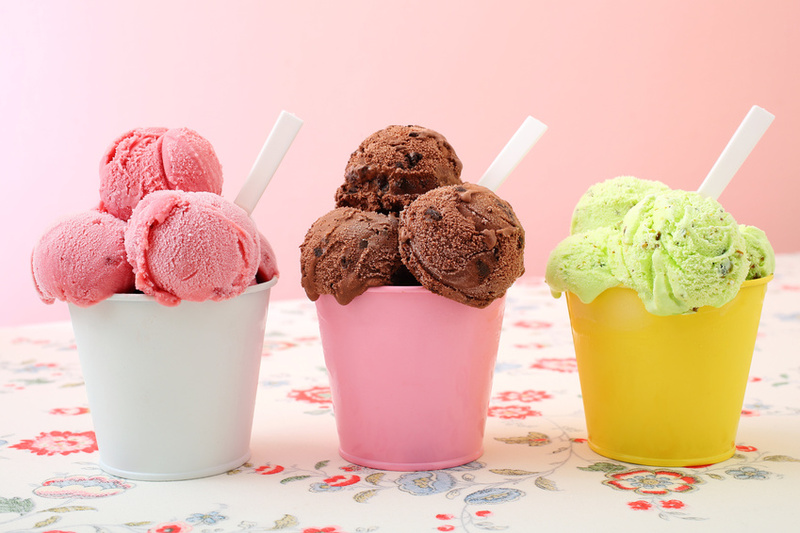 Every year, the average American consumes more than 23 pounds of ice cream. What kind of ice cream are they eating, though? While some people like to switch up the flavor of ice cream they eat, many have a favorite flavor that they like to stick to. Some of these flavors will seem obvious, but others might be a little shocking. Here are the top 10 favorite ice cream flavors in America today. Chocolate: It's probably no surprise that chocolate is the number one favorite flavor of ice cream. Whether you want hard or soft ice cream, chocolate is a tried and true flavor. Vanilla: Again, it's probably not shocking that vanilla is on the list of favorite ice cream flavors. The best thing about vanilla is that it tastes great with almost any topping. It's also typically available in either hard or soft ice cream. Butter Pecan: Now, butter pecan might surprise you a little bit. This flavor tends to be more popular with people 55 and older, according to The Guardian, but it still made it on the top 10 list. Cookies and Cream: This best-of-both-worlds flavor marries delicious cookies with delectable cream to give us another amazing ice cream flavor. It takes the beauty of cookies and milk and lets us enjoy it in a frozen dessert instead. Mint Chocolate Chip: You'll probably see mint chocolate chip ice cream at almost any ice cream shop you walk into, and that's because it's one of America's favorites. When you're looking for a refreshing dessert option, this flavor is the best. Cookie Dough: Another great marriage of cookies and ice cream gives us cookie dough. Often times, there are chocolate chips in the ice cream flavor, allowing us to enjoy both one of America's favorite cookies with another one of America's favorite ice cream flavor. Strawberry: Strawberry gives you the perfect combination of fruit and dessert. If you're looking for something sweet and pink, strawberry is a great choice. Plus it pairs well with chocolate. Pistachio: Pistachio surprises a lot of people because it tastes a lot better than it looks. the green color throws a lot of people off, but it still made it onto the top 10 list. So if you're looking for something nutty, pistachio it is. Birthday Cake: With sweet chunks of cake and sprinkles, you can enjoy your birthday with the cake and ice cream in one with this top 10 flavor. Coffee: So many Americans love coffee, so it's no wonder that they love coffee flavored ice cream too. It blends the taste of coffee with the sweetness of ice cream to create a delicious combination. If you're craving ice cream now, come on down to our Mesa ice cream shop. We have amazing soft ice cream, authentic French desserts, and fun in our shop. Bring the whole family and enjoy a sweet summer treat.